Creating a Brighter Smile; Happy National Smile Month. | By Millie. Creating a Brighter Smile; Happy National Smile Month. Happy National Smile Month everyone, I hope you're blinding people with those pearly whites! 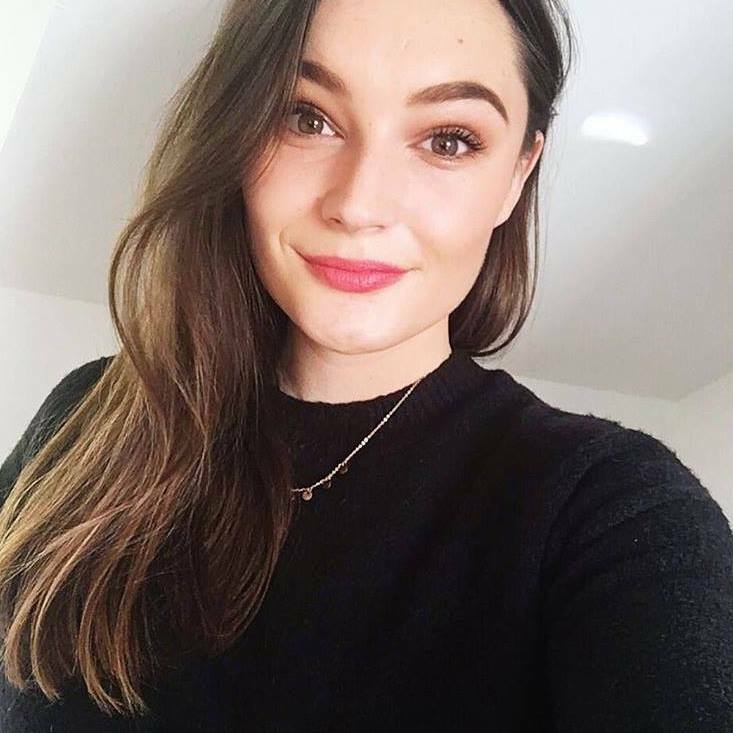 When Janina contacted me asking to try out a couple of their products to promote oral health and safe teeth whitening, I couldn't wait to jump on board and give you a few tips on how to create a brighter, whiter smile! I was really excited to try out a couple of the whitening products as they're made with natural fruit enzymes, as oppose to harsh abrasives. As I'm prone to a bit of sensitivity I was super happy to discover these. Achieving whiter teeth and good oral health starts with a good toothpaste. Now, a whitening toothpaste designed for those with sensitive teeth sounds too good to be true, but actually, it totally works. This Ultra Whitening Toothpaste contains natural Papaya and Pineapple enzymes to create a low abrasion whitening experience. Don't be fooled by the fruity contents though, it still tastes and smells like your typical minty toothpaste! It's also great for decreasing your teeth's sensitivity to the cold, contact, and acids. I've been putting this to the test over the past week or so, and I can already see my teeth are starting to look whiter, hooray! A mouth spray is something I've always been intrigued to try. When Janina sent over their Teeth Whitening Spray I couldn't wait to give it a go. Safe to say it's become a handbag staple for me. In a nutshell it's basically a handy mouthwash on the go. No need for rinsing, just spray it in, swish it around for a minute or so and spit. Pretty simple. Just like the rest of their Ultra Whitening range, it of course has those amazing fruit enzymes to give your teeth an extra boost of whiteness when you're out and about. I can't tell you how great this is after a meal out. To go along with your dazzling white teeth, maintaining soft, nourished lips is also something I find very important. If you're wanting to wear a bold lipstick to compliment your pearly whites, then having a smooth lip surface to work with is key. I've used the NUXE Lip Balm for years now, and it's my go-to for moisturised lips. The formula is thick so a good one to apply before bed and it soaks in nicely. When you wake up, maybe you're after a light exfoliation and some plumpness? 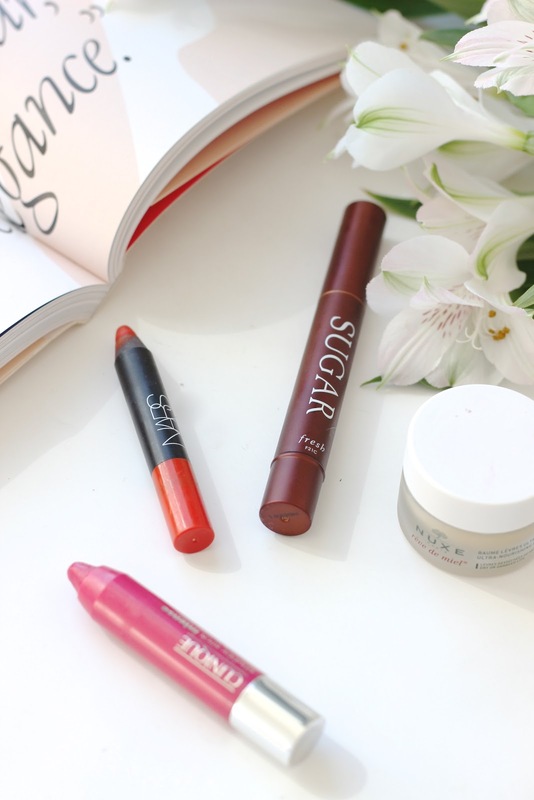 The Fresh Sugar Lip Perfecter is a great product to have around if you want your lips to be a bit more smooth and plumped. The rubber applicator makes is easy to use and it really gets the blood circulating. When it comes to making your teeth look whiter, you want to opt for a cool-toned lipstick. Typically the bright pinks and reds tend to have that blue undertone which help to bring out the white in your smile. If you opt for a warm toned lip, your teeth may look more yellow. 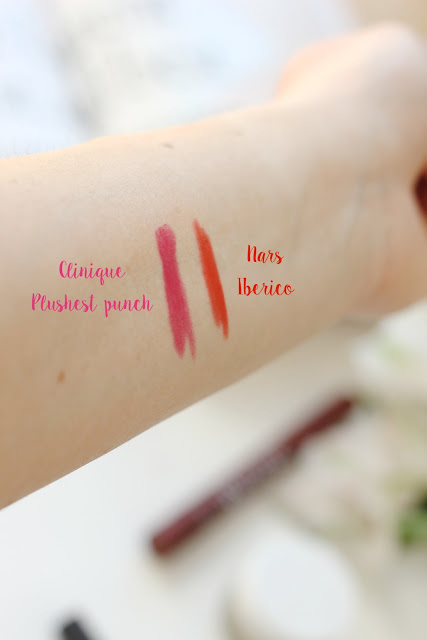 The two I love are from Clinique and Nars, and they're both in a handy crayon formula which makes them perfect for touching up. The former is Plushest Punch which is a nice fuchsia pink. It's a very moisturising formula, but with good colour pay off. I adore this in the summer! If you want a matte finish, the Nars Velvet Matte Lip Pencil in Iberico is a great option. It's a stunning orange/red shade which I love. 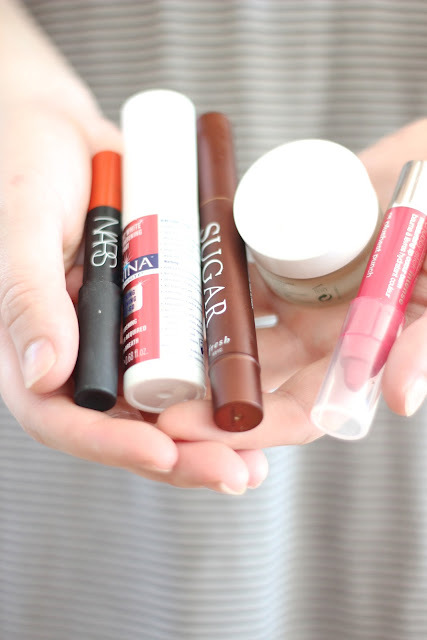 This is more long-lasting than the Clinique Chubby Stick, but not as moisturising.